I find workboats beautiful. They are designed to perform specific jobs, to be safe and to be durable. I will always treat them with respect. The jobs that workboats do, from fishing to transporting work crews to harvesting seaweed, combined with the the climactic factors prevalent in their locales dictate hull shapes, types of superstructures, colors, building materials and many other factors. 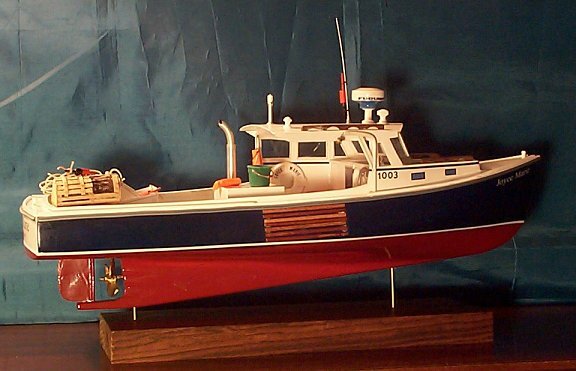 Lobster Boats are the idea of "work-boat" in New England and Eastern Canada and they present a strong, powerful image. They work the rocky north east coastline in many kinds of weather. Built on semi-displacement hulls, they can roll gently in heavy seas, yet develop high speeds. They are often brightly colored, making them highly visible. 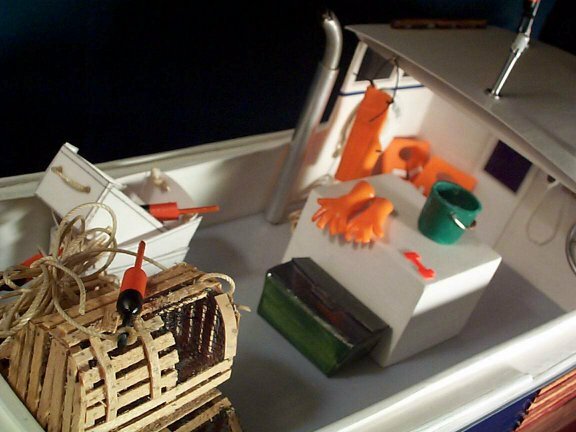 Among the features of this model are lobster pots and buoys, pail, gloves, apron, culling gauge, pfd's, bait box, lobster boxes, I.D. buoy and full instrumentation at the helm. 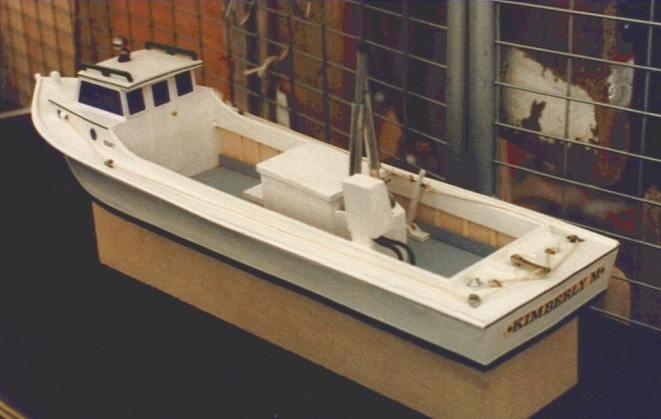 This particular model was commissioned by Universal Studios and can be seen at their newest venue in Osaka, Japan. 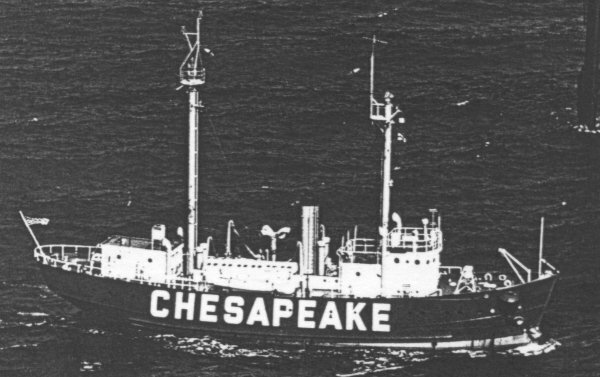 The "CHESAPEAKE", which was originally commissioned as the "FENWICK", was built in the late 1920's in Charleston, South Carolina. The LOA is 133' and Beam is 30'. 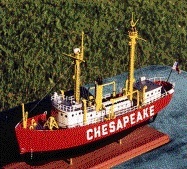 It is now at Baltimore's Inner Harbor. Although Lightships look similar, most are quite different in their structure. 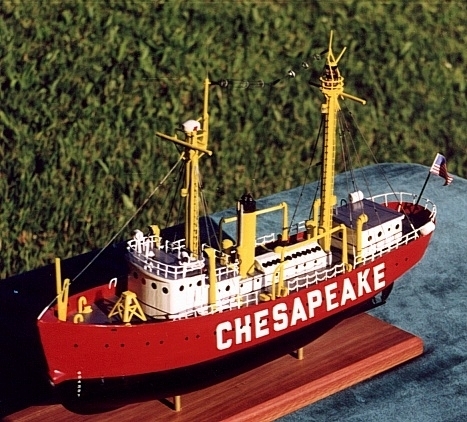 At most stations, lightships were represented by a succession of vessels, each being replaced as technology evolved. Note also, that each ship went through equipment changes during its life. 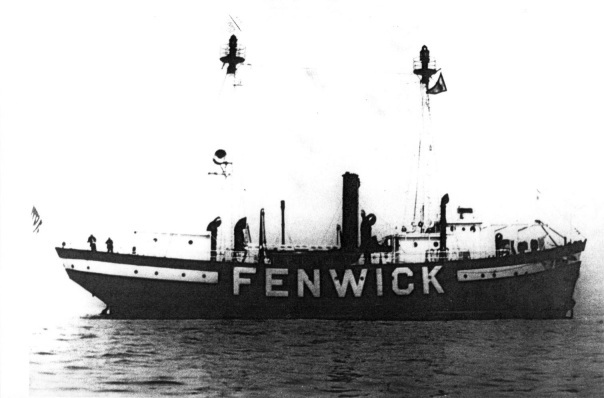 The masts of the "FENWICK" were changed to the more modern configuration. 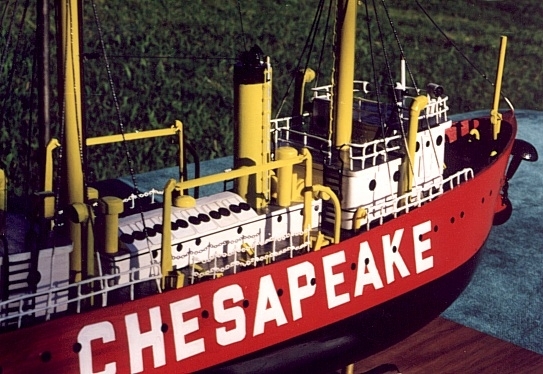 The 4 trumpet fog horn, seen in the black and white "CHESAPEAKE" photo was later removed. The life boats, lost during a hurricane, were replaced with inflatable life-raft "pods"; seen on the roof of the Captains quarters and on the port quarter railing on the model. 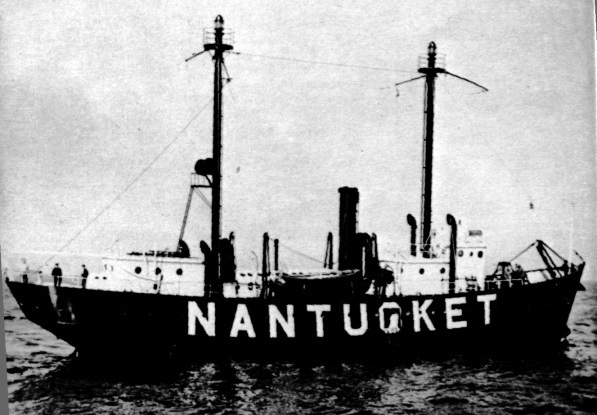 One of the sister ships to the "CHESAPEAKE" (originally designated #116),the only other Lightship that I could find that had a virtually identical structural design, was the "NANTUCKET" #117, which was rammed and sunk by the ocean liner "R.M.S. OLYMPIC", sister ship to the "TITANIC" in May of 1934. 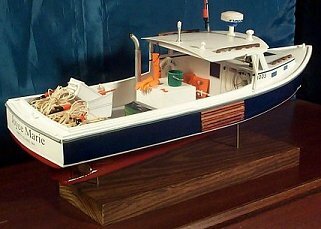 This model is very highly detailed with ladders, conduit, rigging, radio antennae, derricks, vent pipes, etc. Although it was originally built at 18", it could be made quite a bit larger. 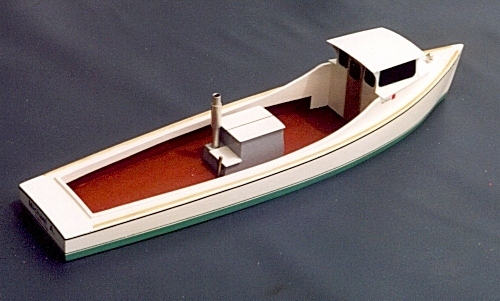 The Kimberly M. is a very nice Maryland Deadrise, with some interesting features, including a rope operated tiller which runs through the cabin, exhaust stacks that are cocked to reduce fumes for the waterman and a name board on the stern. 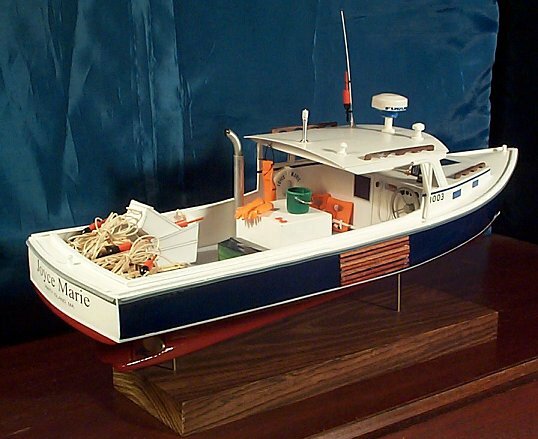 This model has many moving parts and details, including tiller system, searchlight, winder, etc. 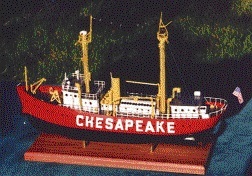 The Michael A. is typical of many Maryland Deadrises, which are primarily used for crabbing and oystering. The sun roof is used in the summer and removed in the winter. 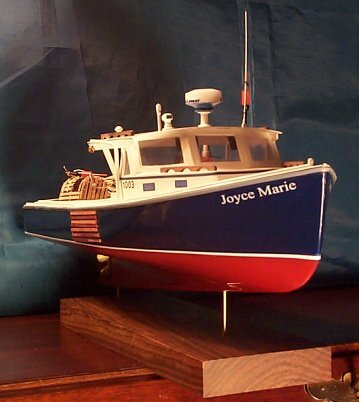 This waterline model primarily emphasizes the long lean lines of the deadrise and has a removable roof. I have made a number of Tilghman Island deadrises for their owners including the "Island Girl", "Megan's Tuition", "Cody Thomas", "Kodiak" and the "Kelly Lynn". 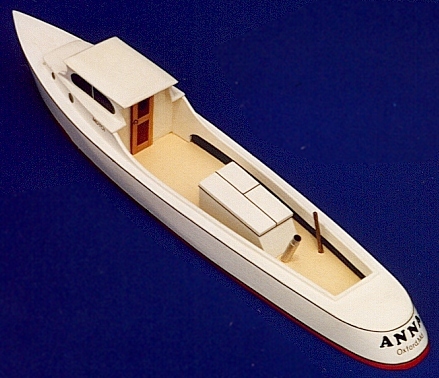 Deadrises were rarely made from plans; more often the result of family "formulas" in small boatyards. Because of this it is very rare to see two identical Deadrises. 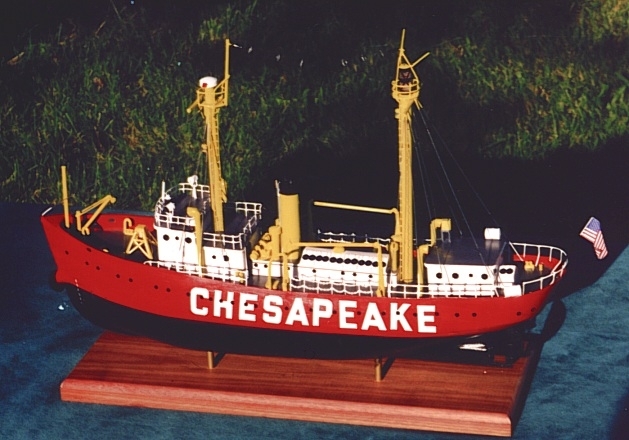 Said to have originated on Hoopers Island, Maryland, the Draketail is a very elegant workboat. Used in similar ways to the Maryland Deadrise, it is very narrow relative to its length, making it very efficient and fast with relatively little power. 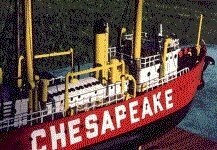 It is also said to have been used during prohibition, due to its ability to outrun other boats and maneuver in shallow water. Because of monitor resolution and prohibitive file size restraints, it is difficult in some cases to adequately present details of these models. If you would like actual photographs, please contact me. All Model Designs and photographs of models on this page are Copyright 1998, 1999, 2000 by John Into. All rights reserved.